I kindly invite you to our February Protected content . The book to read is "The Leftovers" and was chosen by Arnaud. 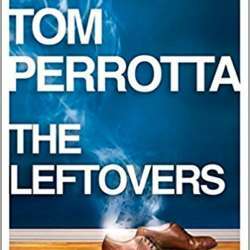 From the author of `Little Children' and now a major new TV series, `The Leftovers' asks what if one day some of us simply vanished? And some were left behind? Following the sudden disappearance of thousands of citizens, Kevin Garvey, Mapleton's new mayor, wants to bring a sense of hope to his traumatised community, but his family has fallen apart in the wake of disaster. Kevin's wife has joined a homegrown cult, and his son is a disciple of the prophet Holy Wayne. Only Jill, Kevin's daughter, remains, and she's no longer the sweet student she once was. Written with a rare ability to illuminate our everyday struggles, `The Leftovers' is a startling novel about love, connection and loss.